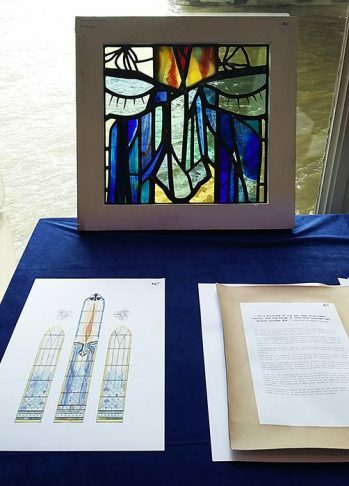 Rereading the brief for this year’s Stevens Competition on the train up to London Bridge, I was reminded what a lovely potential commission it is going to be for some lucky budding architectural glass artist. 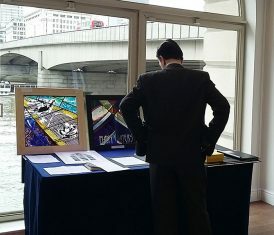 So it was no surprise to find out that we had more than double the number of entries of last year. 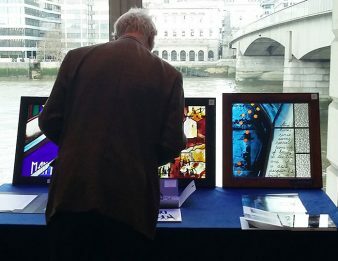 I was to act as one of four judges to assess the 46 submissions at Glaziers’ Hall so I knew it was going to be a busy day. 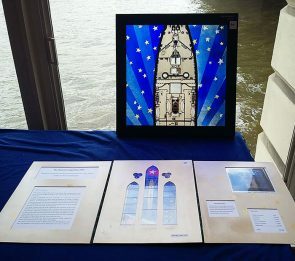 It was a rush to get through so many entries in the first round and the overall standard of the submissions was higher than last year, so there was more to look at and more to think about. I suspect a lot of entrants do not realise how short a period of time we have to look at each presentation, and I found myself getting slightly frustrated that so many statements included a lot of information about the commission that we already knew. As judges, we want to read about what is unique to the panel we are looking at, not the general information we already know from the brief. However there were a few gems in there which had made good use of background research and stood out as well thought out responses to the brief. 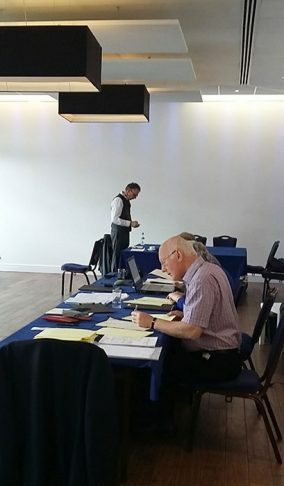 Surprisingly despite a broader range of good submissions to choose from, the four judges came to consensus pretty quickly and painlessly, with none of the arguments that happened last year. 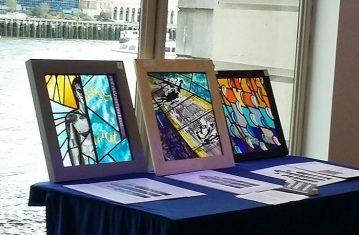 We’re looking forward to the seminar day on Tuesday 31st May at Glaziers’ Hall when we will discuss a selection of the entries. Read more about the brief here.